University of Chicago Press, 9780226018751, 512pp. At a glance, most species seem adapted to the environment in which they live. Yet species relentlessly evolve, and populations within species evolve in different ways. Evolution, as it turns out, is much more dynamic than biologists realized just a few decades ago. In Relentless Evolution, John N. Thompson explores why adaptive evolution never ceases and why natural selection acts on species in so many different ways. 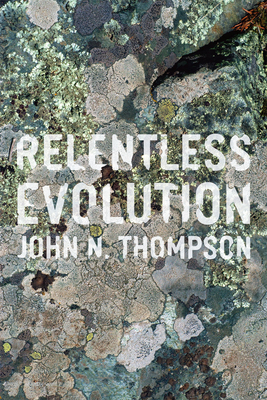 Thompson presents a view of life in which ongoing evolution is essential and inevitable. Each chapter focuses on one of the major problems in adaptive evolution: How fast is evolution? How strong is natural selection? How do species co-opt the genomes of other species as they adapt? Why does adaptive evolution sometimes lead to more, rather than less, genetic variation within populations? How does the process of adaptation drive the evolution of new species? How does coevolution among species continually reshape the web of life? And, more generally, how are our views of adaptive evolution changing? Relentless Evolution draws on studies of all the major forms of life—from microbes that evolve in microcosms within a few weeks to plants and animals that sometimes evolve in detectable ways within a few decades. It shows evolution not as a slow and stately process, but rather as a continual and sometimes frenetic process that favors yet more evolutionary change. John N. Thompson is the Distinguished Professor of Ecology and Evolutionary Biology at the University of California, Santa Cruz.